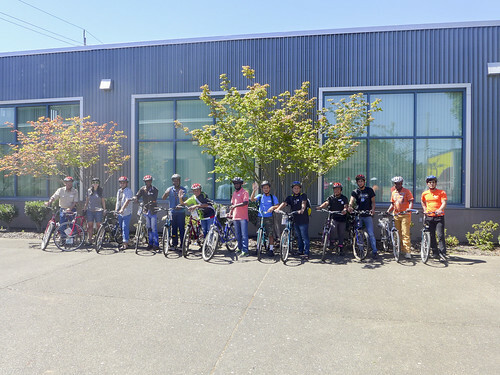 On Friday, August 7th, twelve people at IRCO rode home on bikes that were generously donated to the Community Cycling Center and lovingly refurbished by our mechanics and volunteers. But it wasn’t just bikes that they earned. 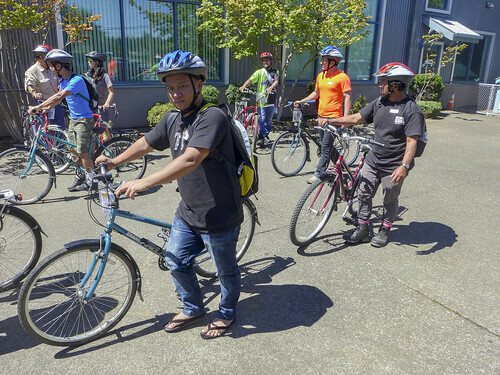 The Earn a Bike participants received new helmets, locks, flat fix tools, and the safety training necessary to navigate the streets of Portland and beyond. 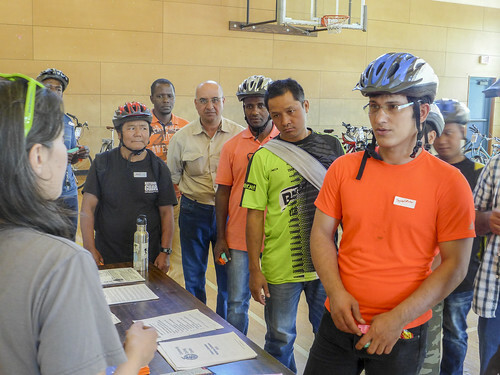 During the Earn a Bike workshop, participants learned tips like how to bike in the rain, use hand signals, fix a flat, perform a Copenhagen left turn, and how to safely lock their bikes. They even took turns placing their bikes on a TriMet bus rack, as many of the participants are multi-modal travelers. 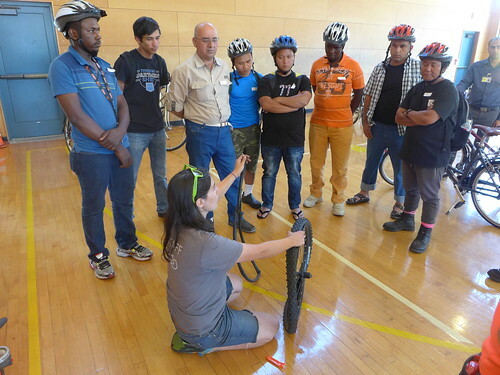 Community Cycling Center’s instructor, Lale Santelices, provided training to all twelve participants, along with the help of interpreters. Thank you to our volunteers and supporters who make our Earn a Bike Program possible. If you would like to learn how to support our Earn a Bike program through volunteering, donating a bike, or making a monetary donation, please email info@communitycyclingcenter.org.